Eliminate the noise - and focus on the music. We've got the Urge Basics M1 Over-Ear Bluetooth headphones for $34.99, a savings of 41%, at Escapist Deals. These over-ear wireless headphones put the focus on what counts: your music. They'll deliver crisp audio while reducing ambient noise, so you can hear your music and phone calls without distractions. The design is as rugged as it is comfortable, so wear them anywhere - they'll sit comfortable on your ears all day. You don't even need to take them off for a phone call, thanks to the built-in mic. Your favorite playlist is calling. 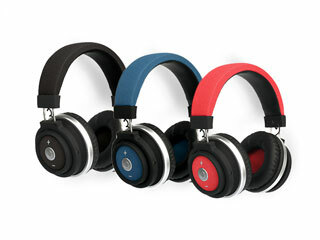 Get the Urge Basics M1 Over-Ear Bluetooth headphones in red, blue, or black for $34.99, a savings of 41%, at Escapist Deals.